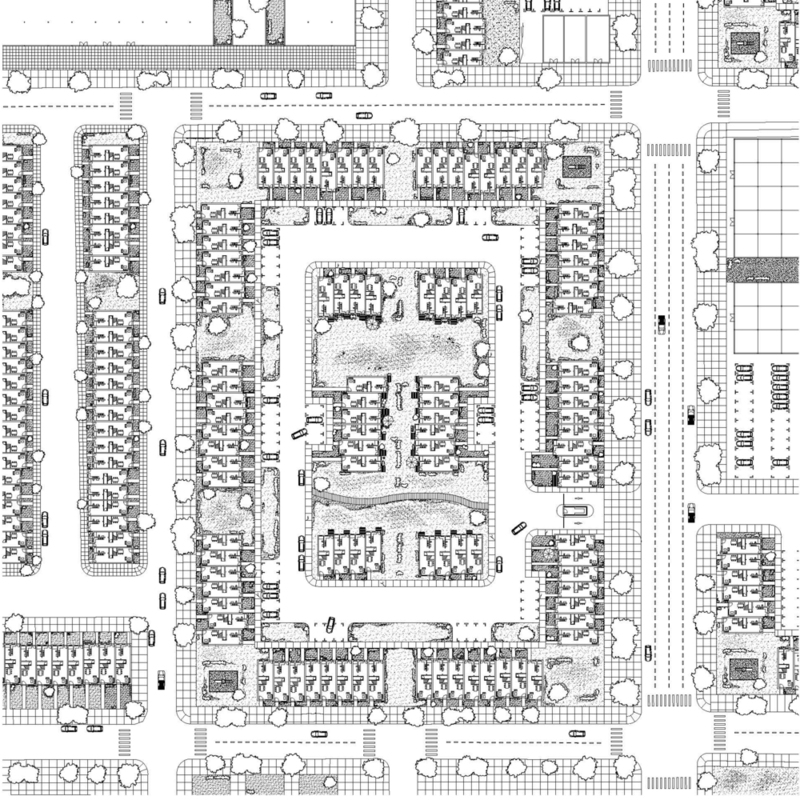 This project deploys like-strategies on three different housing typologies to accommodate a new type of working class, the creative working class, ie artist, musicians, journalist etc. 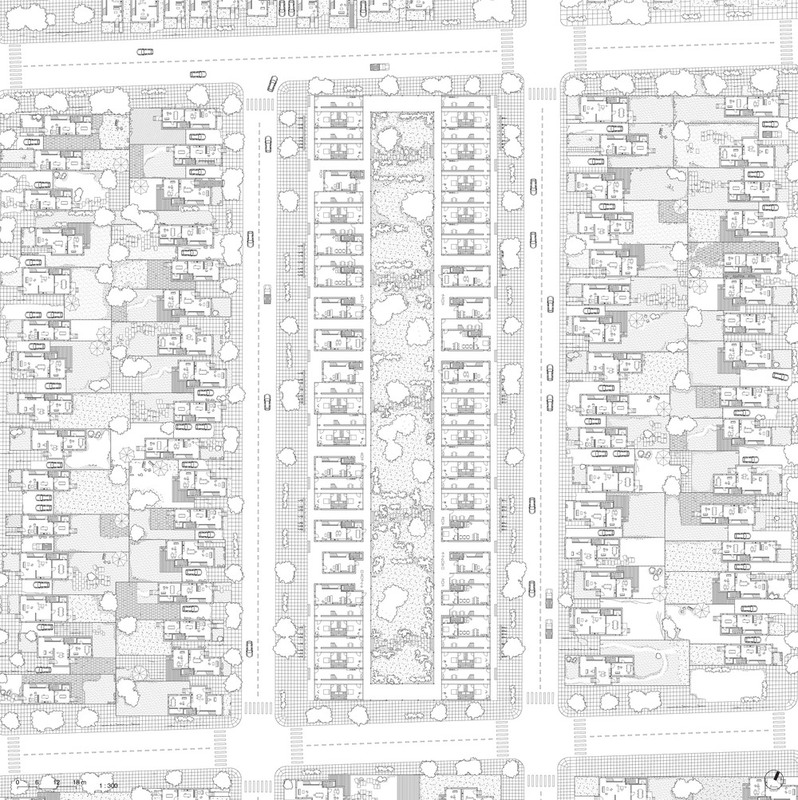 The three types of housing typologies include (1) the single family home, (2) the townhouse, and (3) the housing project. 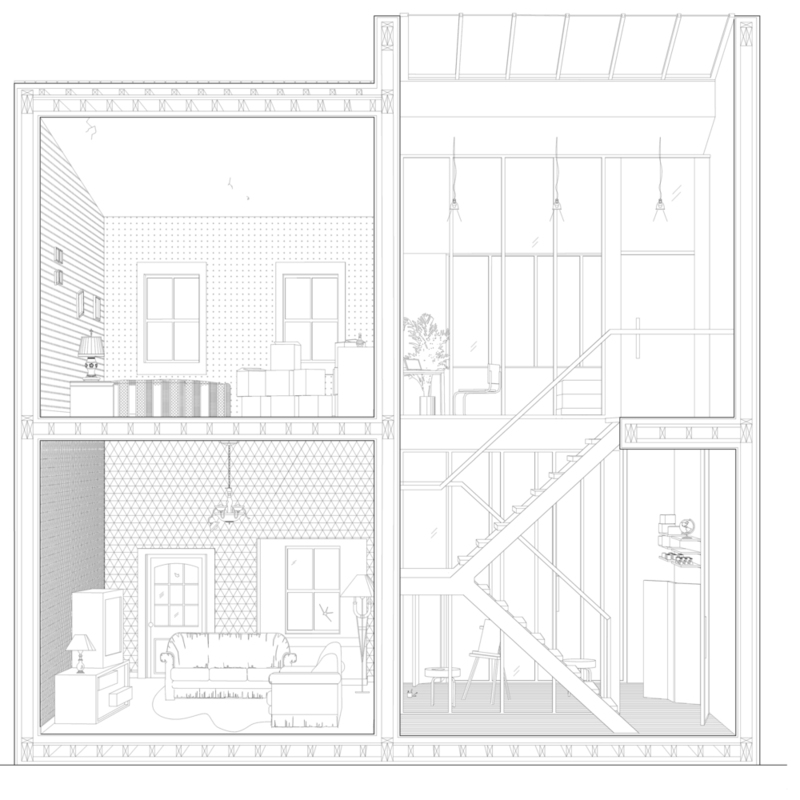 The insertion of a stoa in the interior of the block of these housing types combined with the gradual demolition of partitions within the structures allow for more open and flexible spaces. 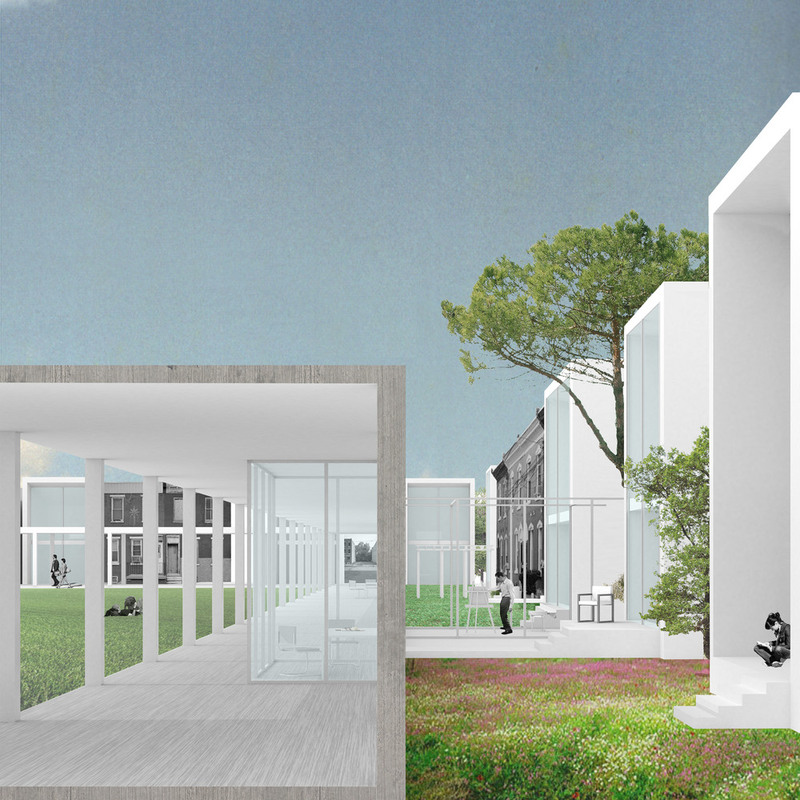 The urban gesture of the continuous stoa manifests in a cloister within each city block and provides an opportunity for socializing, working and collaboration - an essential means of development for creative workers. We aim to capitalize on the existing forms of housing and produce a new way of living together based off of sharing of ideas, communal spaces, and collaborative working environments. The common space we are creating is a means of transforming the "generic-ness" and leftover spaces of the city into the collective sphere, placing the governance of such spaces in the hands of the inhabitants. These common spaces go beyond the traditional segmentation of public and private spaces but refer to the flexible undefined place where human creativity and collaboration occurs. It is a move away from spaces which are highly defined for particular functions, established by pre-ordered conditions, social norms or hierarchies, but the community of working citizens at large. 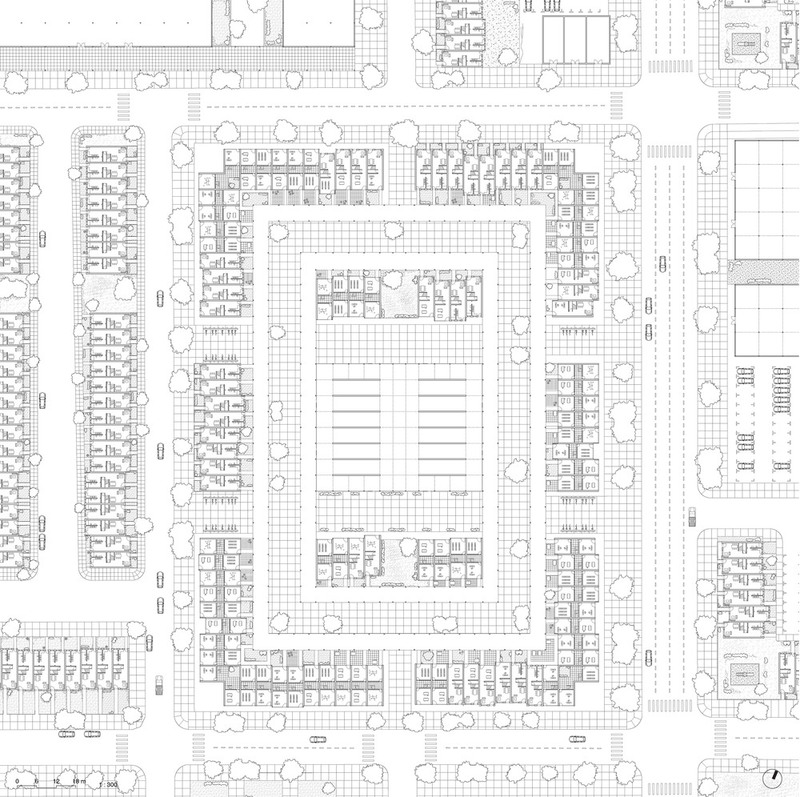 Each typology is represented by five drawings - a perspective rendering, an interior rendering, an existing site plan, a modified site plan with the stoa, and a drawing section perspective. 15 images total.